Home Tags Posts tagged with "valley of tombs"
ISIS has blown up three funerary towers at the ancient city of Palmyra, Syria’s antiquities chief Maamoun Abdul Karim has said. Maamoun Abdul Karim told the AFP that “the best preserved and most beautiful” had been destroyed. The multi-storey sandstone monuments, standing outside the city walls in an area known as the Valley of the Tombs, belonged to rich Palmyrene families. Their demolition comes only days after ISIS blew up Palmyra’s two main temples. 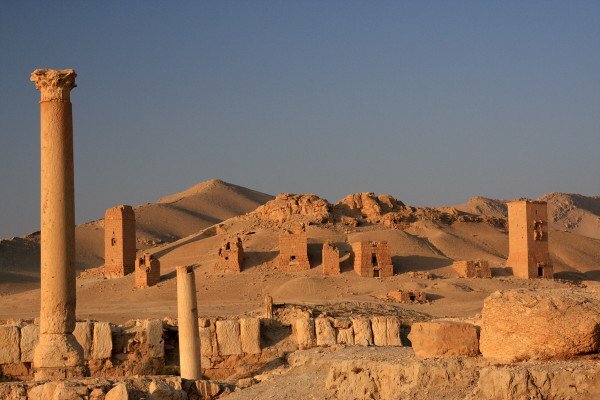 The group, which captured the UNESCO World Heritage site from government forces in May, has previously destroyed two Islamic shrines near Palmyra, which they described as “manifestations of polytheism”.